But it’s a new week, and that means it’s time to get back on that health grind. 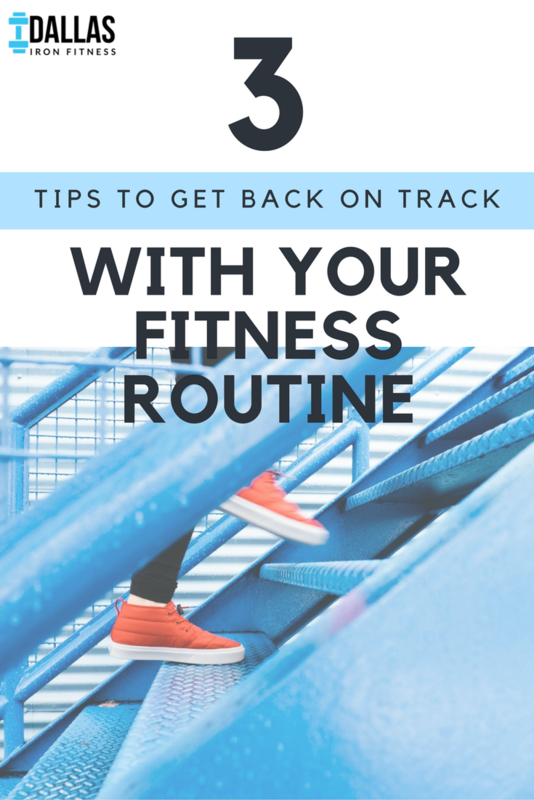 We have 3 tips for getting back on track with your fitness habits! Studies have shown that a break from your everyday environment (aka your home) throws off the habits you’ve created within those environments. So your M-W-F workout morning routine that you’ve been sticking faithfully to for the last 6 months? Traveling for Thanksgiving can seriously throw this, and your other healthy habits, off. That’s why it’s important to return to your routine as soon as possible. Not feeling that 6 AM workout class after a week away from home? Remind yourself of your fitness why—you’ll feel great after, you’ll be one step closer to reaching your fitness goals—then set that alarm (and stick to it!). >> ACTION PLAN: Write down your fitness why and put it where you’ll see it, then make plans to get back into your fitness routine. Pack your gym bag to quickly grab on the way out the door or have your workout clothes ready on your nightstand for your spin class in the morning. Do anything the night before that will make it WAY TOO EASY to exercise the next day—you’ll have zero excuses to talk yourself out of it! Need a quick workout to get started? We gotchoo. Part of the habit development process involves rewarding yourself for completing the activity. If you’re feeling particularly unmotivated to get back into the routine, a reward may be the incentive you need to stick to that 5 AM alarm or trip to the gym after a long day at work. Early morning workout? Treat yourself to a coffee from your favorite coffee shop on the way into the office. A workout at the gym when it’s already dark outside and you’d much rather stay home and watch Netflix? Get yourself to a mani/pedi after or let yourself watch that new This Is Us episode only AFTER you’ve made it to the gym. >> ACTION PLAN: Think creatively about how to reward yourself for getting back into your exercise routine! Pick one way you’ll reward yourself this week for returning to your fitness routine. 3. Don’t wallow in guilt. Missed your workouts for a week or indulged in all those pumpkin and pecan pies? NO BIG DEAL! Even the most self-disciplined people fall off their health routines. This is no reason to wallow in guilt; self-pity keeps you tethered to your circumstances, whereas being gentle to yourself, acknowledging you didn’t keep to your fitness routine, then forgiving yourself for these choices allows you to move forward without guilt so that you can return to making healthy choices for yourself. >> ACTION PLAN: Tape a favorite quote to your bathroom mirror, refrigerator, coffee pot, rearview mirror, or anywhere you’ll see it frequently to remind you to be gentle to yourself, mistakes and all. We can help you create habits that help you reach YOUR fitness goals! With in-person and online fitness options, we have the right program to fit your lifestyle.